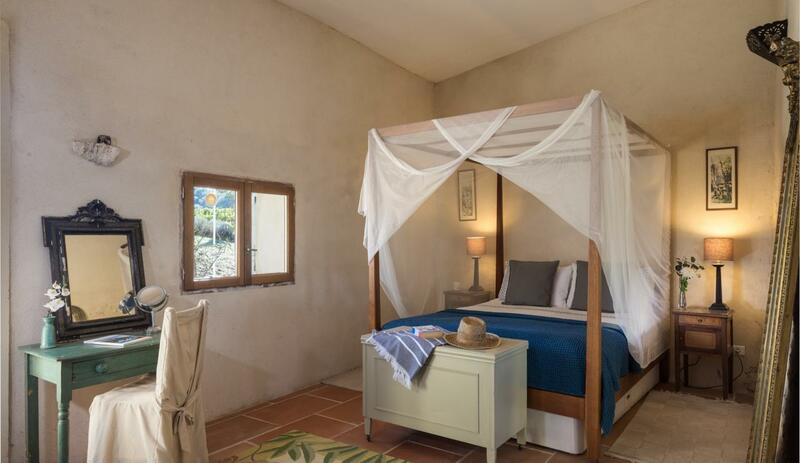 Price includes: Linen & towels (fresh set each week); beds made for arrival; mid-stay housekeeping visit for fortnight stays. Optional extras: Exit clean 100 euro. Changeover day: Saturday in summer. Arrival and departure: Arrival from 17:00, departure by 10:00 please. Two fantastic weeks again in your lovely home. 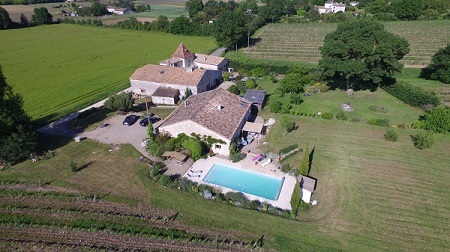 A fantastic 10 days in a gorgeous house – undoubtedly the loveliest accommodation we’ve ever stayed in in France! Restaurant recommendations in folder very much appreciated – the Belvedere (recently reopened as a tapas place) is a delight and Le 8 in Sainte Foy was such a treat. Thank you so much – we loved staying at your beautiful barn. It was amazing – would love to return. Thank you for having us in your beautiful home, we had a lovely stay and enjoyed ourselves so much. Truly lovely time had by all. 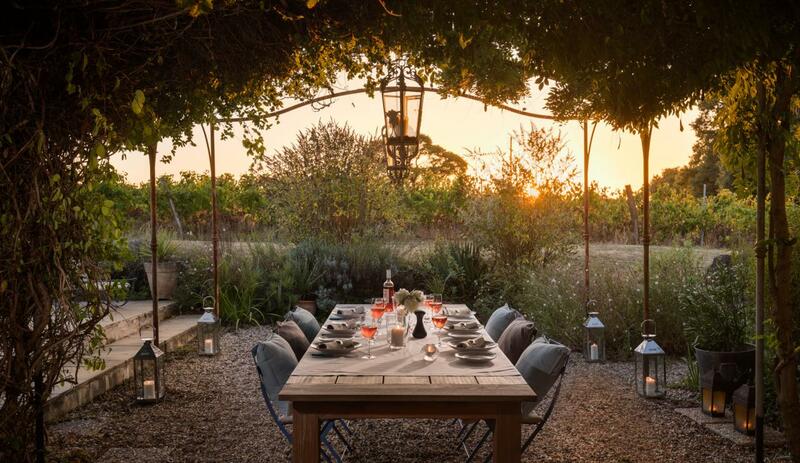 A little bit of August magic - great place, food, wine and experience. Thank you so much! 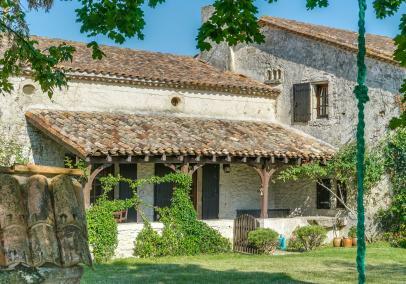 Definitely one to please the Francophiles - this is a classic French combination of vineyards, countryside, medieval villages, chateaux and markets. Toddlers: good play areas outside. Teenagers: quiet area but good amenities (TV, wifi, DVD). Reduced mobility: a few steps and gravel areas outside. The boundary between La Grange and the friendly neighbour is defined for most of the property by a wall or hedge but there is a short stretch without. The two properties have separate driveways and do not overlook each other at all. Wine, naturally! Plenty of opportunity for tasting and chateaux visits - St Emilion is close by. There is also a wide choice of activities available nearby including golf, water sports, horse riding, cycling and walking. The region is also steeped in history and culture, we recommend strolling around one of the many historic villages, or a visit to the fascinating city of Bordeaux itself. Formerly the milking parlour of the original 19th century farm, the English owners have created a charming and comfortable holiday home. 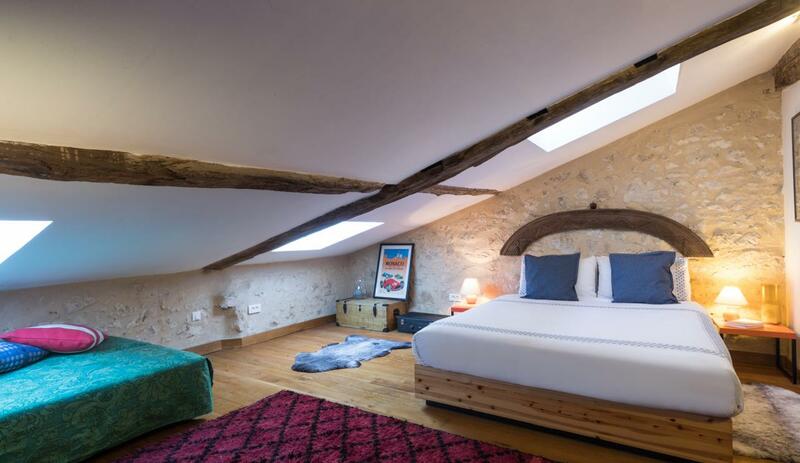 The property boasts original beams, high ceilings, traditional stone walls and a mix of classical furniture and modern equipment/appliances. It's an appealing combination! The property in fact looks relatively modest on first view but once you step inside it really grabs your attention - both the size of the interior and the character of the property. Open-plan living room integrating kitchen, dining and lounge spaces. The main living area and kitchen are separated by an attractive wooden divide and a few steps leading up to the lounge. Kitchen: wood burner; round kitchen table; island unit and work surface in cream and light wood to match the units; large, enamel sink; range cooker; countryside views. The room is modern but in keeping with the traditional style of the property. Living area: featuring large flat screen TV (with English channels); DVD player; two large seating areas with four large sofas in total; an attractive, solid wooden dining table which comfortably seats 8; coffee table; attractive brickwork fireplace with wood burner. Bathroom with free-standing bath tub, separate walk-in shower, sink & WC. Although not en-suite to the master bedroom it is situated next door and is effectively a private bathroom suite. Twin bedroom - once the feeding area for the cows! The area where the hay bales were kept is now an inset shelf and rustic wardrobe. The beamed ceiling, stone walls and antiques add to the character. Also, the beds are antique oak with elaborately carved head boards. Ensuite shower room (shower, sink, WC). One independent WC and sink. The staircase leads to a gallery landing overlooking the living room - it's quite a view! At this level are two further bedrooms. These rooms are properly enclosed (they are not mezzanine bedrooms). Bedroom 3: double bed, sofa, parquet floor, small coffee table plus antique chest of drawers. en-suite shower room with shower unit, WC, sink. Note this attic bedroom features sloping ceiling for approx. 50% of the room. However, as it is a large room with king size bed, it is still popular with adults. Bedroom 4: small double bed 140cm, antique furnishings, iPod docking station plus ensuite shower room (shower, WC, sink). The lovely swimming pool is a decent size - 11.5 x 5m and the soft cover is handy for retaining the heat in the water overnight. Unheated, protected by an alarm and with a depth ranging from 1.0m - 1.8m. 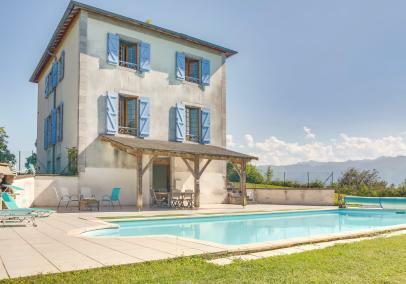 Walking distance from the village of Pessac-sur-Dordogne, the property is situated next to the original farm house (separately owned). These properties are accessed via separate driveways. 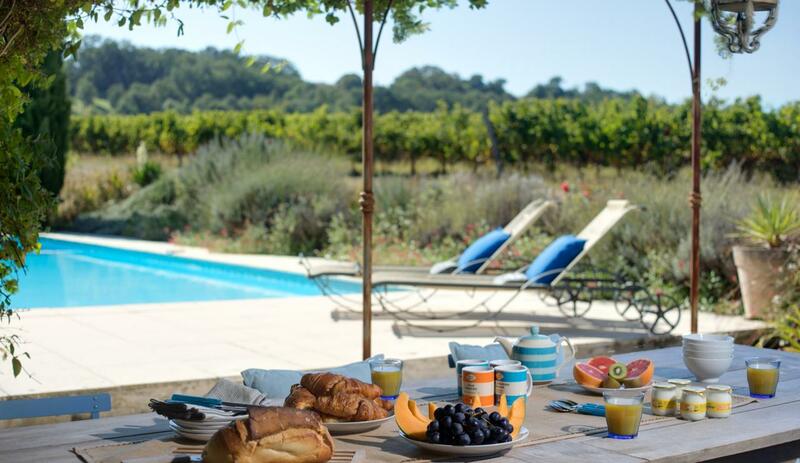 Staying at La Grange you will feel amongst the vineyards and countryside of South West France. Adjacent corn fields and the outlines of chateaux in the distance, make you feel most relaxed! Service: Met specific requests and responded swiftly to questions all dealings clear and transparent. Information provided accurate . Good service by phone and email. Product Comment: Excellent, thank you. Service: Very helpful. Couple of hiccups in booking this year, but sorted quickly and fairly. Product: Just as brilliant as last year. Beautiful home to stay in. Everything you could need, pool fantastic. Product Comment: Thank you! 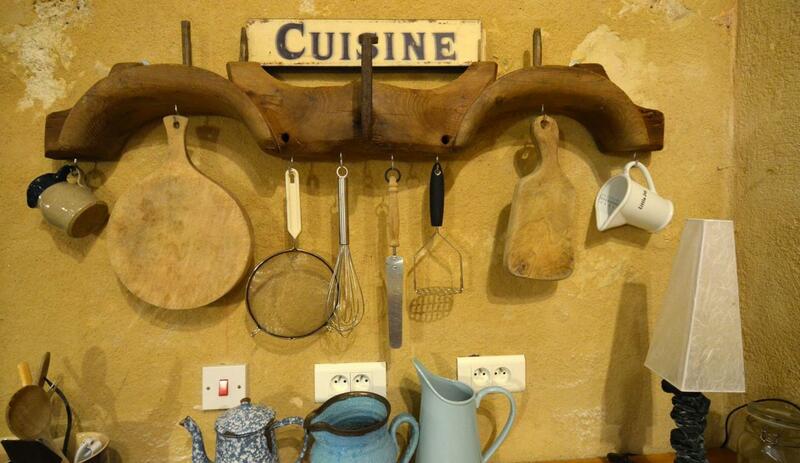 Delighted you enjoyed your return visit to La Grange du Pepe. Product: Amazing house. Lovely pool. Great location. Peaceful location, but just a few minutes walk down the lane to a great pop up restaurant ( there in summer) and another fantastic restaurant. House is a real home from home. Fantastic facilities and lovely lady that looked after the house for homeowners. Couldn't have asked for more. Service: Extremely helpful and efficient staff. Product: Beautiful house with Wow factor! Gorgeous pool and all kept lovely and clean. I would highly recommend this fabulous house to anyone.